Take on leisurely walks along leafy pathways or spend refreshing moments at the centre-piece lagoon pool. Unwind with soothing treatments at SoSPA; rejuvenate at CellScience Solitaire Bali Aesthetic Clinic, or stay in shape at SoFIT fitness centre. Enchant your taste buds at the resort's three restaurants and two bars. A kids club takes young guests into a fun world of discovery. Memorable meetings are possible with 12 function rooms, including a grand ballroom and a ballroom with ocean views. 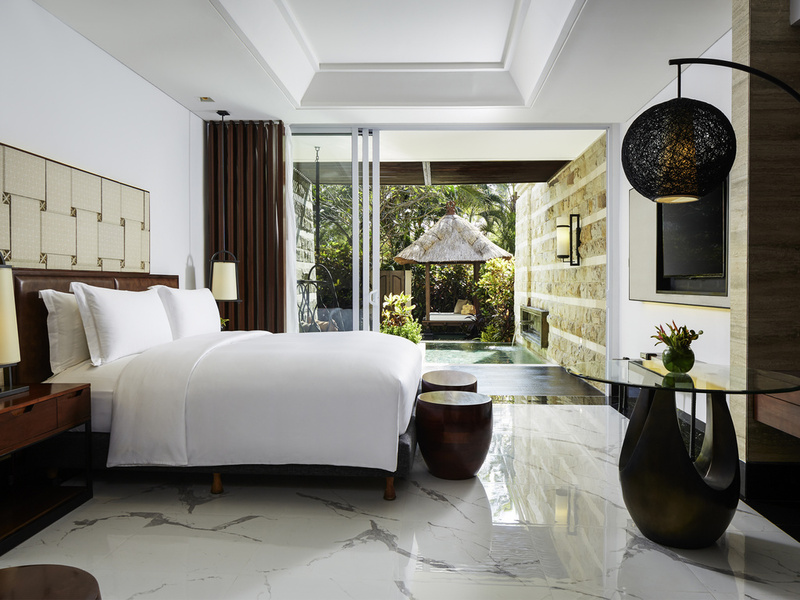 Ideal for business, leisure, or family fun, Sofitel Bali Nusa Dua welcomes patrons to discover its luxury beachfront offerings for their memorable Bali holiday, only 30 minutes from the airport and main attractions within easy driving range. The warm smiles of Sofitel staff quietly announce thoughtful gestures and sincere dedication. Allow us to display our senses of hospitality and to tailor our services according to your wishes. Your pleasure is ours. .. Welcome to a unique cultural blend of two unique touches and experiences, French and Balinese. Only a short amble across this open-air lobby, the 'Circle of Life', be further greeted with spectacular views overlooking the gardens and the ocean afar. The beauty is in the details with exquisite architecture and décor that are mostly the works of art by Balinese craftsmen, and the spiraling staircases provide you with impressions of French Renaissance and Baroque. Discover the different facets of exotic Bali. Volcanic slopes draped in emerald green paddy fields, turquoise waters, colorful, flavorful spices and the shimmering gold worn by its dancers... Bali is an unforgettable journey for the senses. Pure indulgence in our 376 luxury rooms, 22 suites and 17 villas. 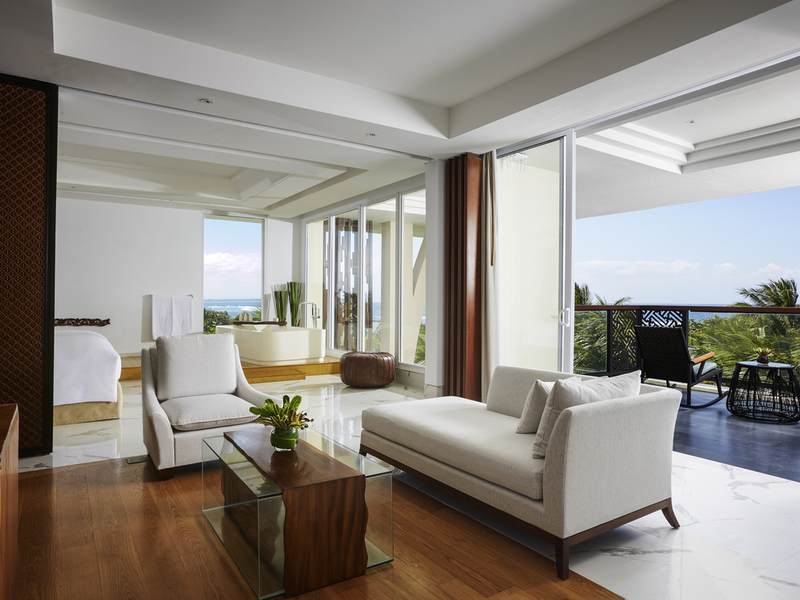 With access to Club Millésime, our spacious suites and villas have all you need for an exceptional stay. Benefit from VIP services and turn your stay into a Magnifique experience. 48m2 modern living comfort with magnifique views of the resort Lagoon Pool, LCD TV, a luxurious bathroom comprising separate tub and rain shower with distinctive bathroom amenities, and complimentary Internet up to 1MB. 48 m² modern living comfort featuring small garden with plunge pool and sun bed, LCD TV, a luxurious bathroom comprises a separate tub and rain shower with distinctive bathroom amenities, and complimentary Internet up to 1MB. 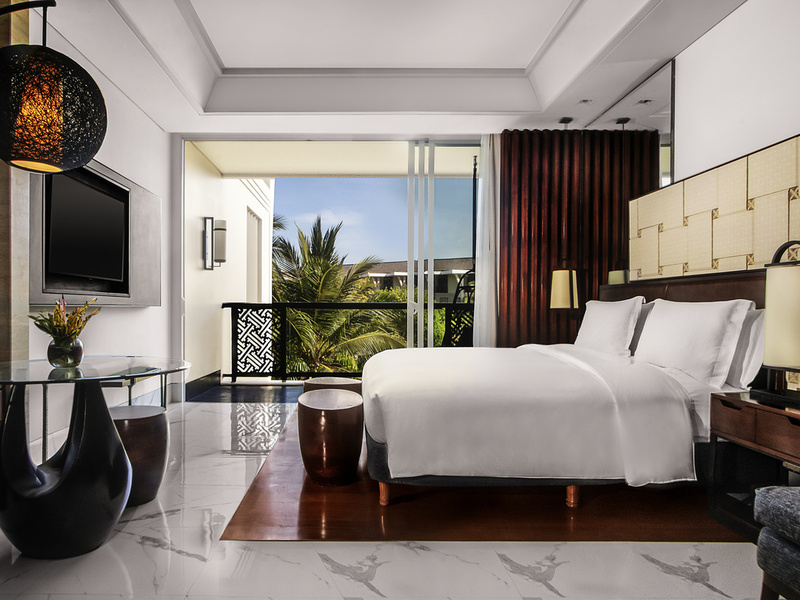 48 m² modern living comfort with direct access to the resort's immense lagoon pool, LCD TV, a luxurious bathroom comprises separate tub and rain shower with distinctive bathroom amenities, complimentary internet up to 1 MB and club benefits. 88 m² (945 sq. 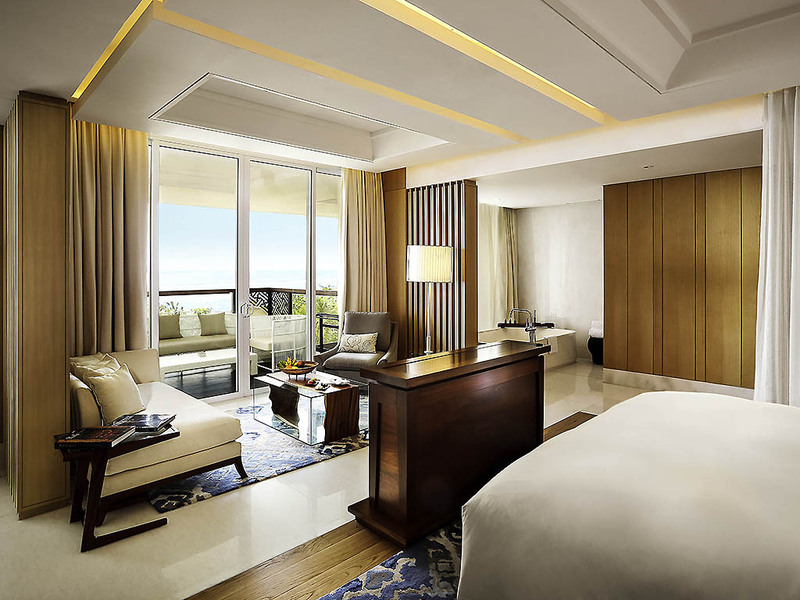 ft.) suite with ocean view, spacious living and dining area, private balcony, marble bathroom with rain shower and Hermès amenities, butler service, complimentary Internet up to 1 MB, access to Club Millésime lounge and club benefits. 120 m² (1290 sq. ft.) suite with private balcony, living and dining area, a luxurious bathroom with separate rain shower and Hermès amenities, butler service, complimentary Internet up to 1 MB, access to Club Millésime lounge and club benefits. 120 m² (1290 sq. 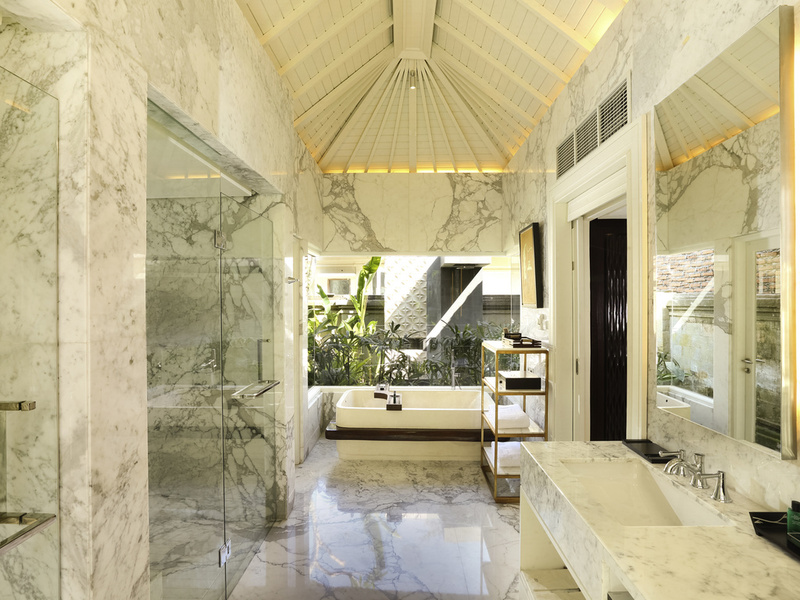 ft.) suite with spacious living and dining area, plunge pool, bathroom with separate tub, rain shower and Hermès amenities, butler service, complimentary Internet up to 1 MB, access to Club Millésime lounge and club benefits. Lavish 88 m² (947 sq. ft.) villa with private terrace and plunge pool, living room, marble bathroom with separate tub and rain shower, Hermes amenities, butler service, complimentary internet up to 1 MB, access to Club Millésime lounge and club benefits. Opulent 175 m² (1884 sq.ft.) villa with separate living and dining area, private plunge pool, marble bathroom with separate tub, rain shower and Hermes amenities, butler service, free internet up to 1 MB, access to Club Millésime lounge and club benefits. 88 m² suite with spacious living and dining area, plunge pool, bathroom with separate tub, rain shower and Hermès amenities, butler service, complimentary internet up to 1 MB, access to Club Millésime Lounge. Guests staying at Luxury Room Pool Access, Suites and Villas can luxuriate in style and may enjoy exclusive access to the Club Millésime. The stylish lounge provides sophisticated travellers with an indoor lounge area. Club guests can savour exquisite gastronomy, from daily breakfasts, all-day refreshments, afternoon teas, evening cocktails and wine tastings, as well as a variety of complimentary services. Luxury Room guests may purchase this access upon check-in. Take part in a journey through French cuisine accented with local flavours and specialties. Sofitel chefs ensure memorable gastronomic adventures, while stunning dining rooms invite leisurely meals and offer feasts for your eyes. Cucina Osteria E Enoteca bids diners to a luxurious wining and dining experience. Inspired by a food market concept, Kwee Zeen serves Pan Asian cuisine in a relaxed atmosphere. a passion for excellence, and is dedicated to making every event an unforgettable success. 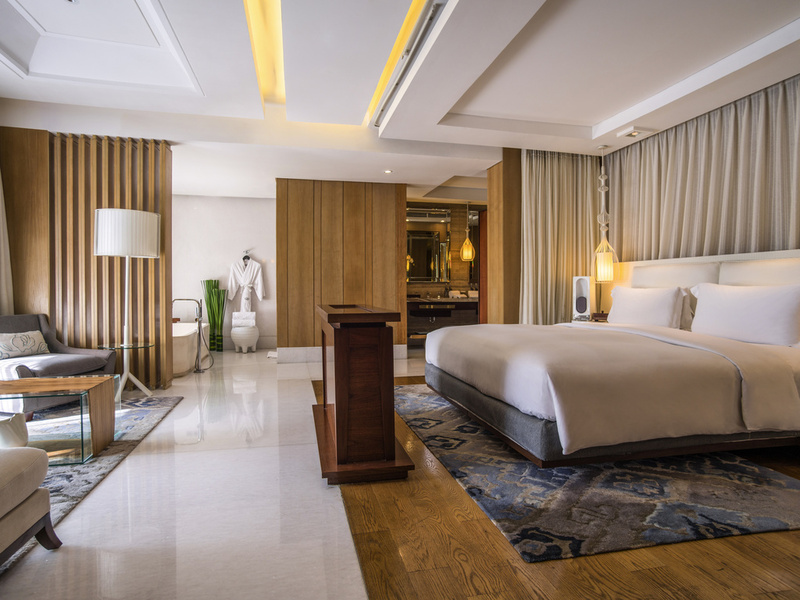 With 12 function rooms in a variety of sizes, Sofitel Bali Nusa Dua Beach Resort is one of Bali's premier event and conference hotels. Our Kecak Grand Ballroom provides impeccable setting for corporate and social function events for up to 600 guests. Located seaside with magnificent ocean views, Our Gamelan Ballroom offers sheer opulence and grandeur, hold up to 420 guests. Couples wishing to express their vows or have done so but wish to relive their magical moments and reaffirm their eternal love, may opt for the most magical settings, be it at resort's splendid beachfront or the exquisite indoor venues. 415 exquisite rooms, suites and villas welcome all of your guests to enjoy a memorable stay. 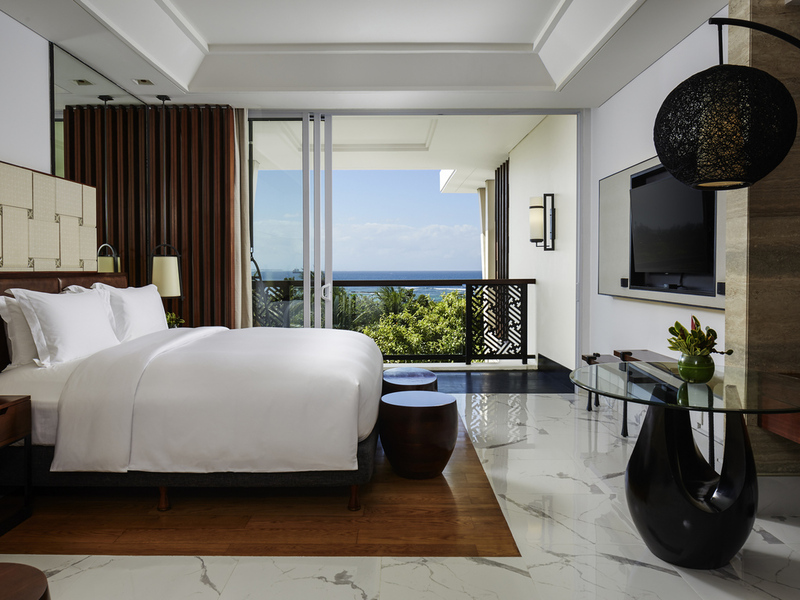 Ample amenities, plush Sofitel MyBed and French elegance blended with local touches accommodate your guests with ultimate comfort and sophisticated style. Sofitel Bali Nusa Dua is an idyllic venue for holding legal and blessing wedding ceremony. Our experienced wedding specialists are ready to help you choose one of our available wedding packages, and plan every detail from ceremony to reception. Say 'I do' and start your romantic chapter in one of our wedding venues. Host your special event by the beach with magnificent setting of The Indian Ocean. Spectacular grand ballroom is available to host up to 450 guests in a banquet style. 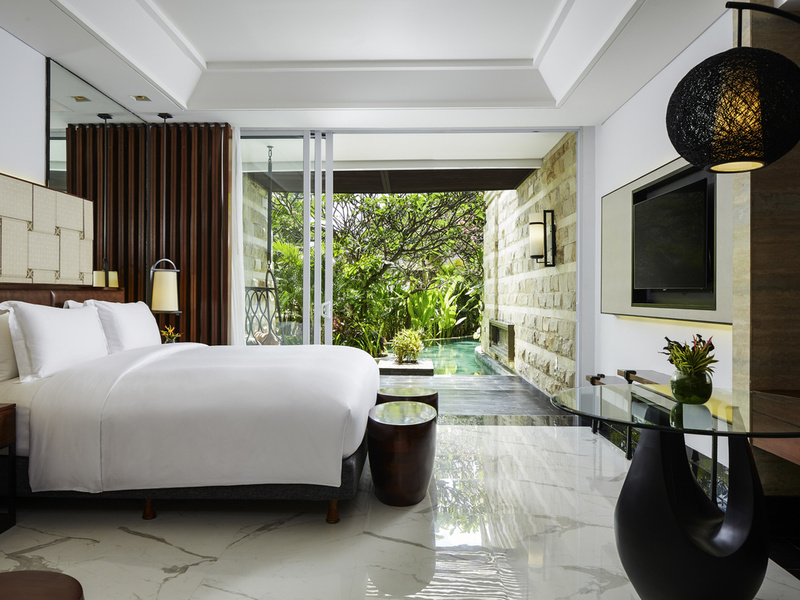 Sofitel Bali Nusa Dua Beach Resort boasts a prestigious location at the serene Nusa Dua area. 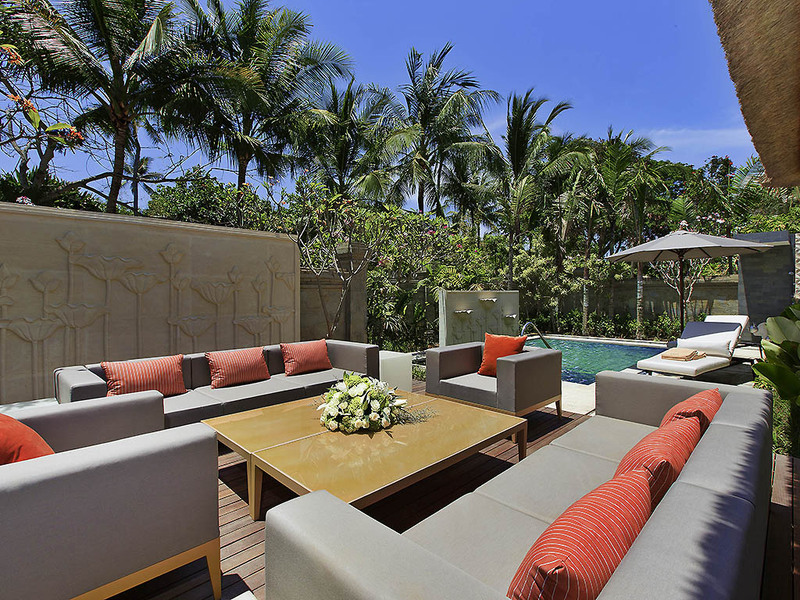 It is ideally located just 30-minute drive from Bali Ngurah Rai International Airport, vibrant night life of Seminyak and other area attractions. Pamper yourself at SoSPA with a wide range of beauty and body treatments in partnership with the finest names in personal care. CellScience Solitaire offers non-invasive aesthetic treatments, nutritional counselling, cosmetic dentistry and life coaching. Stay with us and enjoy attentive service and lavish facilities, including lagoon pool, wellness spa, beauty clinic, kids club, fitness centre and more. Contact our concierge for expert assistance in planning your leisure activities in the island. Plan a private excursion, discover new sights and trendy spots, explore hidden gems or simply search for local handicrafts. Our concierge team will assist you to experience the true wonders of Bali like a local, to create memories that last a lifetime. The extensive swimming pool provides an ideal spot for fun and relaxation for the whole family. The pool comprises a Jacuzzi inside the pool while the children's pool with artificial sand and slides are available in a separate area. SoFIT offers a revolutionary approach to fitness, with dedicated relaxation as well as workout areas. Personal trainers are ready at hand to help you get into shape. Separate male and female sauna and steam room are available for in-house guests.